Hi friends! Today I’m sharing a fun project and easy tutorial that will show you how to embellish fabric and make it super cute in just ten minutes. 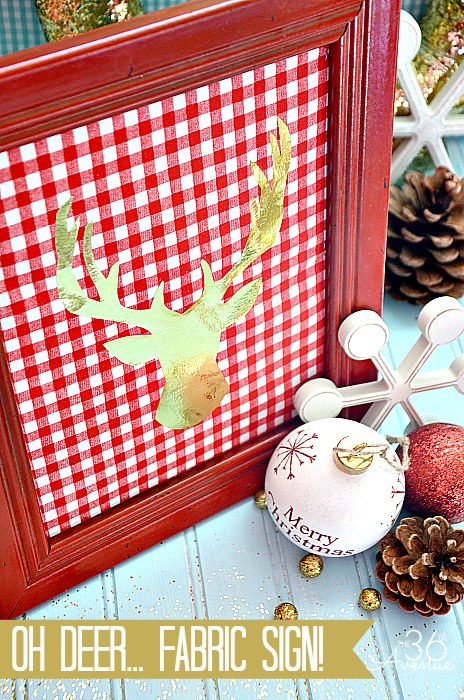 Grab your Tulip Holiday Sparkle and Shine Transfer Sheets, get your creativity rolling, and let’s make together this adorable Fabric Christmas Sign. 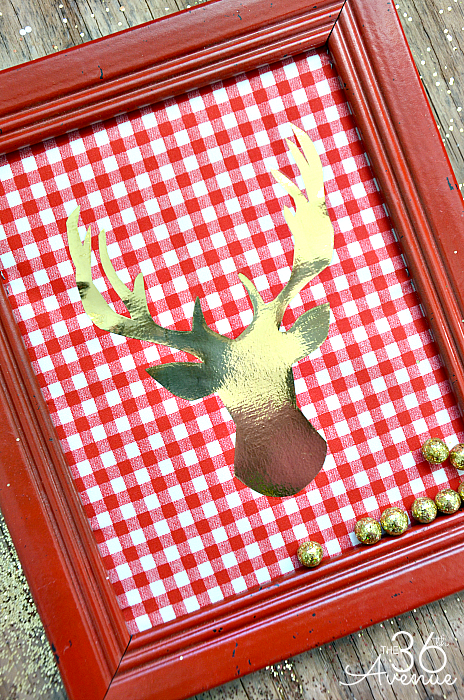 Oh “deer”, I am loving the sparkly gold! Are we ready to bring some sparkle and shine to the Christmas Season? The first thing you want to do is draw or trace your design on your Tulip Transfer Sheet. You are going to love their wide assortment of glitter & sparkle products. 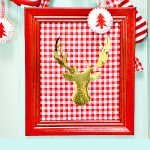 They are super easy to use and great for all your holiday DIYs. 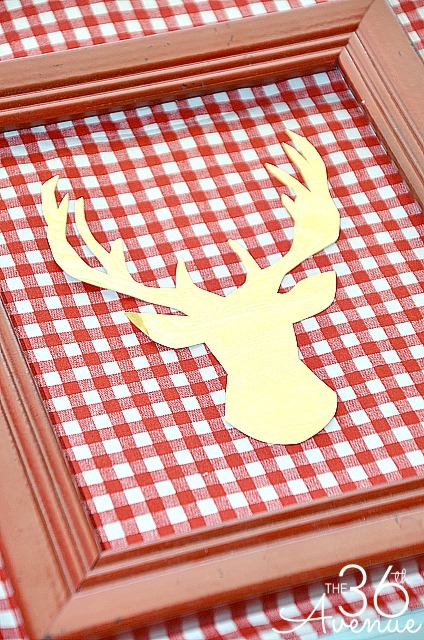 Cut out your design using scissors and position it on the fabric. I am framing mine but I think this deer silhouette would also be adorable on a pillow. Place a thin cloth or piece of fabric over the design. 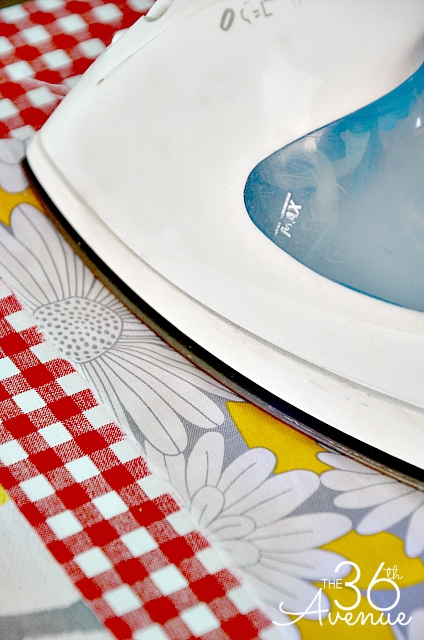 Make sure to heat dry your iron to the suitable setting for the type of fabric you are using. Iron the design in place, pressing firmly for about 40 seconds. Check to make sure the transfer is set, if it’s not re-iron it. 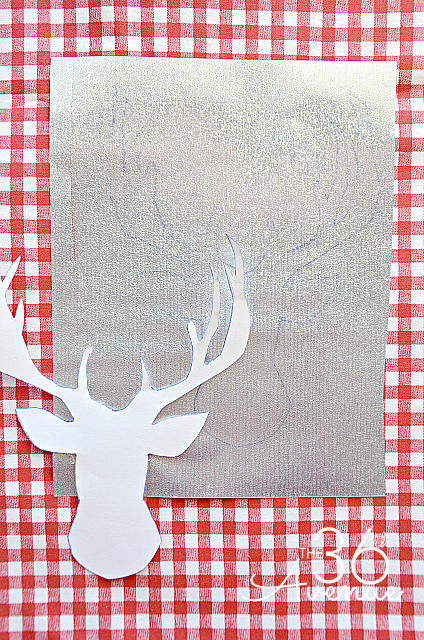 Now, just like magic, the deer silhouette is part of the fabric… So cool! Your fabric is ready to use in anyway you like! 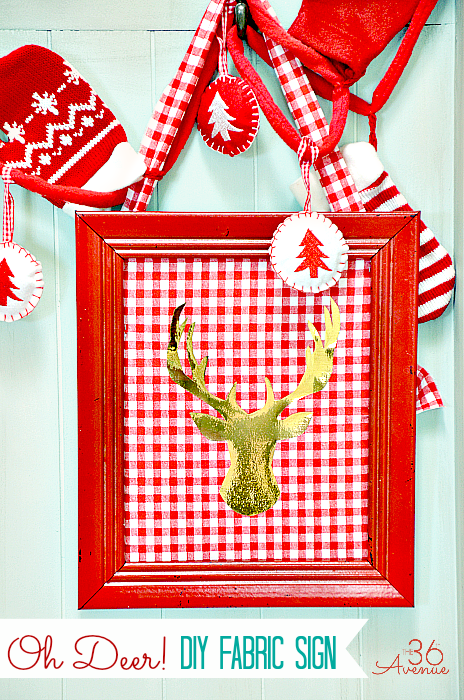 to your wardrobe or make adorable and festive seasonal décor! Look how cute it looks in my entryway! Before you go check out this easy holiday inspiration post from ILTC! 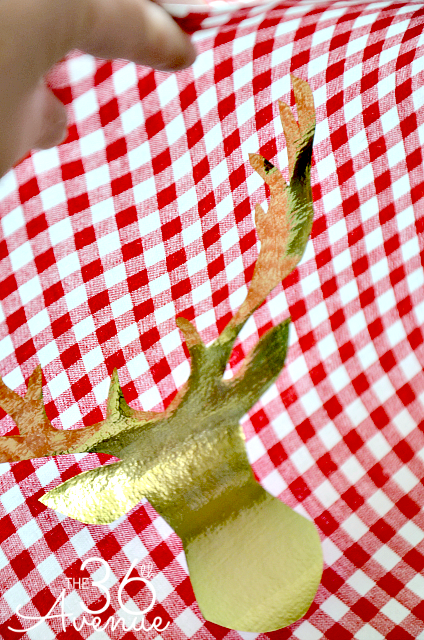 These Christmas trees are so cute and you won’t believe how easy they are to make! to click here to check out the blog and follow along on Facebook, Twitter and Pinterest. I can’t wait to see what you are going to make! Have a Merry and Bright Day! PreviousBest DIY Projects and Party Time! Gotta check out those transfer sheets! So fun!